Swimmers who are stuck on a plateau or need motivation. New swimmers who want to develop really good habits. Self-coached swimmers who want expert assessment and advice. Triathletes looking to improve their stroke, reduce their swim times and save energy. Open Water swimmers looking to make their stroke more efficient. The day comprises four hours pool time with video and three hours in the classroom with video analysis. We will also send you links to full detailed video analysis with professional TV sports-style on screen graphic annotations and commentary. When swimming the best way to increase your endurance or speed is to reduce energy waste. STREAMLINING: Learn to push forwards through water by streamlining your body. WHOLE BODY PROPULSION: Propel yourself forwards though the water using your core and channelling energy forwards using natural weight shifts. The workshop director is T.I. Master Coach Tracey Baumann who will be working alongside her fantastic Team of coaches. For your chance to work with Total Immersion Master Coach Tracey Baumann and her excellent team of coaches. The swimmer to coach ratio for this workshop will be 5 to 1. Do you want to swim a mile or more and feel invigorated and not drained at the end? Do you want the swim to be the best leg of your triathlon? Do you want to swim comfortably and confidently in open water? This Effortless Endurance Workshop comprises four hours pool time and three hours classroom time which includes in-depth video analysis using the most up to date coaching software with TV-style graphic annotation. This workshop includes expert instruction, individualised feedback and detailed video analysis. 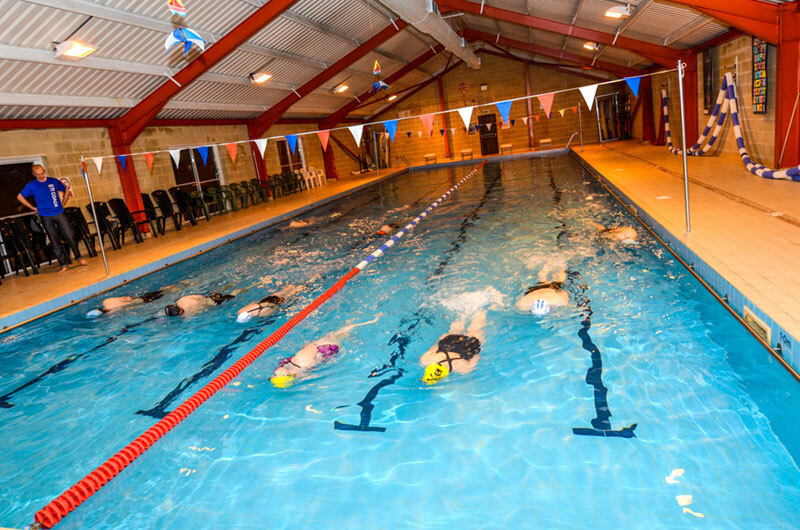 It is recommended for people who can swim at least 50m or more of crawl stroke or who have studied TI skills previously with DVDs, books or lessons. It’s a great opportunity to work and be coached by TI Master Coach and Director of Coaching for Total Immersion Worldwide. Tracey has been very fortunate to be able to work very closely with the Late Terry Laughlin, Founder of Total Immersion over the years and brings a wealth of experience to the workshop that will ensure you receive the latest information to ensure an accelerated journey to your swimming potential. By train/tube: The nearest station is Egham which is on the Waterloo line and journey time is approximately 40 minutes from Waterloo. The National Rail on-line timetable will help you plan your journey www.tfl.gov.uk or http://ojp.nationalrail.co.uk/service/planjourney/search. On arrival please take a Taxi to St John’s (approx. 2.6 miles).